Avoid going without food for long periods of time. • Also, make sure you eat something after prolonged exercise. • Eat three well-balanced meals a day. • Never neglect your breakfast. Some people can tolerate decaffeinated drinks, but they may pose a problem for others. Monosodium Glutamate, which is present in Chinese food as well as many processed foods. Nitrates and nitrites present in many cured and processed meats. Tyramine present in red wine and cheese. Aspartame, tartrazine and other food additives. • Add fresh root ginger to your food. 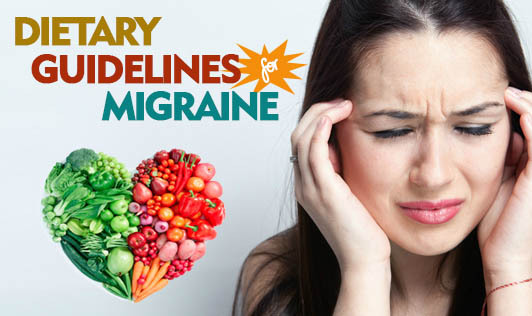 • Frequent headaches could indicate you are low in important vitamins and minerals. Low levels of niacin and vitamin B6, for instance, can cause headaches. Protein rich foods, like chicken, fish and peas, milk; and peanut butter are good dietary sources of both niacin and vitamin B6. • Minerals like calcium and magnesium work together to help prevent headaches. Good sources of calcium are dairy products, tofu, dark green leafy vegetables -- like kale or broccoli and peas. Magnesium can be found in dark green leafy vegetables, wheat germ, seafood. • Fresh garlic bulbs eaten in a salad helps clear headaches.